Edward L. (“Lee”) Metzger III is one of the premier trial lawyers in Northern Kentucky. He is licensed to practice in Kentucky, Ohio, and Indiana, in the United States Court of Appeals for the Sixth Circuit, and in the United States District Courts for the Eastern District of Kentucky, Western District of Kentucky, Southern District of Ohio, and Southern District of Indiana. His practice primarily consists of defending those accused of serious crimes and representing individuals, businesses, and insurance companies in personal injury cases. He is well-recognized for his abilities in these fields, having been named by Super Lawyers© as a 2019 Rising Star. The bulk of his civil practice is in the areas of (1) personal injury, (2) insurance coverage, (3) property & casualty defense, (4) claim investigation, and (5) bad faith litigation. 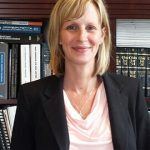 However, he has also handled civil cases in the areas of assault and battery, breach of contract, breach of fiduciary duties, collections, conversion, declaration of rights, defamation (slander and libel), Dram Shop Act liability, estate and probate litigation, extortion, fraud, harassment, injunctions, premises liability, property disputes, shareholders’ rights, trespass, unjust enrichment, and wrongful death. Lee also handles appeals, § 2255 motions, and habeas corpus petitions for post-conviction relief. He is a member of the Criminal Justice Act Panel for the United States Court of Appeals for the Sixth Circuit, and regularly represents indigent defendants in criminal appeals. He has briefed a number of petitions for a writ of certiorari to the United States Supreme Court. An example of his recent success in the criminal arena was his representation of a defendant who was federally charged with participating in a carfentanil conspiracy that resulted in an overdose death. The potentially applicable mandatory minimum sentence was life imprisonment. Due to his adept management of the case, the indictment was dismissed. Born and raised in Kentucky, Lee is dedicated to serving the local community. He is a 2018 graduate of the Kentucky Chamber of Commerce’s ELEVATE Kentucky program, “The Best Class Ever.” He regularly volunteers with Catholic Charities in Covington, through which he teaches parenting skills classes to incarcerated fathers in the Kenton County Detention Center. He has previously served as a member of the Diocese of Covington’s Pro-Life Advisory Board (2014-2017), and as President and Secretary of the school board for Covington Catholic High School (2011-2017). He is an ADF-Allied attorney, and has received extensive training from the Alliance Defending Freedom in the areas of First Amendment religious liberty, marriage and the family, and bioethics. In addition, he gives of his time to state and local bar associations. He presently serves on the Kentucky Bar Association’s 2019 Budget & Finance Committee, the KBA Young Lawyers Division Executive Committee (as Sixth District Representative), and the Editorial Committee of the Northern Kentucky Bar Association’s bimonthly magazine, Lex Loci. He has also been a member of the NKBA Young Lawyers Section since 2010, where he has served in a variety of leadership roles. Lee earned his undergraduate degree from the University of Kentucky in 2007 and his juris doctorate from the Notre Dame Law School in 2010. His personal interests include philosophy, brewing his own beer, whitetail deer hunting, UK basketball, NFL football, and Notre Dame football.